How a person is taught in the classroom can shape who they’ll become in their future. While each teacher has a different style and approach to success, there’s always room for improvement. Co-teaching is a recently developed process that involves a primary and secondary pair of teachers who instruct a classroom simultaneously through seven different methods. “The Seven Methods of Co-Teaching” is a video project that fully outlines the co-teaching process with interview, descriptions and demonstrations of the methods and benefits of co-teaching. These videos will be used to ensure that P-12 classroom teachers have background knowledge on co-teaching, and they will serve as training modules for student-teaching cooperating teachers and classroom teachers working with teacher candidates during early clinical experiences. 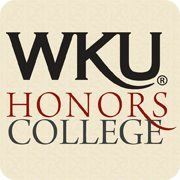 They will primarily be distributed to student teachers at Western Kentucky University, but they will also be shared with other institutions across the Commonwealth of Kentucky that interested in the co-teaching process. Cheatwood, Courtney S., "The Seven Methods of Co-Teaching" (2013). Honors College Capstone Experience/Thesis Projects. Paper 391.